How to Migrate Yahoo Mail to Office 365 with Ease? In the modern era, emails are considered to be a valuable form of communication. Technological advancements are causing a stir in every domain of business, and it is influencing the web-based email tools to set their benchmark and concoct new standards to satisfy the requirements of next generation users. Today, users – businesses or personal users— get the liberty of using email platform of their choice. Advancement of technology is forcing the users to reject primordial email services and migrate to improved, web-based email clients. According to Gartner Research conducted in 2016-17, almost 78% of the existing Yahoo users are thinking of switching to other web-based email applications. A popular name that churned out of that research was Microsoft Office 365. Yahoo Mail is hugely unsuccessful in matching the requirements of modern-day corporate and personal users. But why users are sacrificing Yahoo email services for its counterparts? Let's find out! Yahoo Mail is a prolific web-based email client solution whose users are depleting on a regular basis. Yahoo mail fails to provide exciting features to its users while other web-based mail applications do the same with flexibility. There is an acute scarcity of avant-garde features in Yahoo mail. So many users are migrating from Yahoo to Office 365. Step-1. 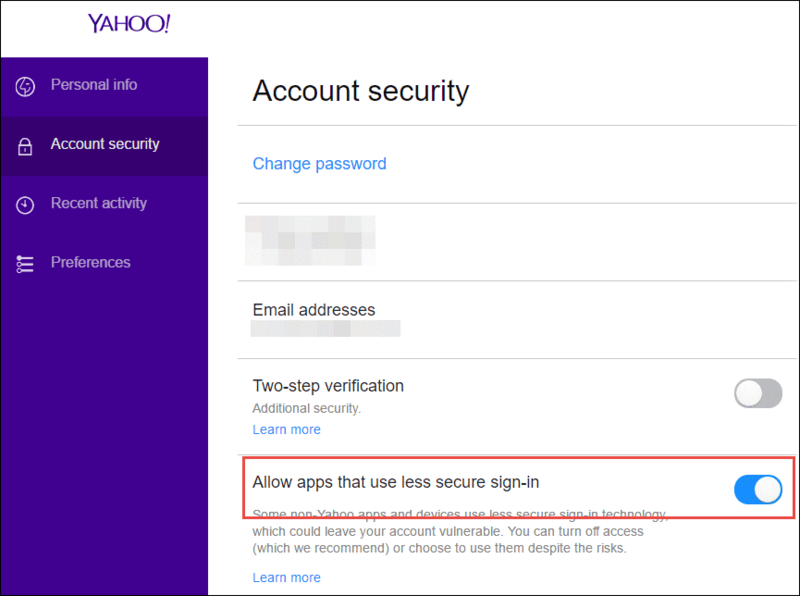 Change the Account Security of the Yahoo Email. Click on Allow apps that use less secure sign-in option in it. Step-2. 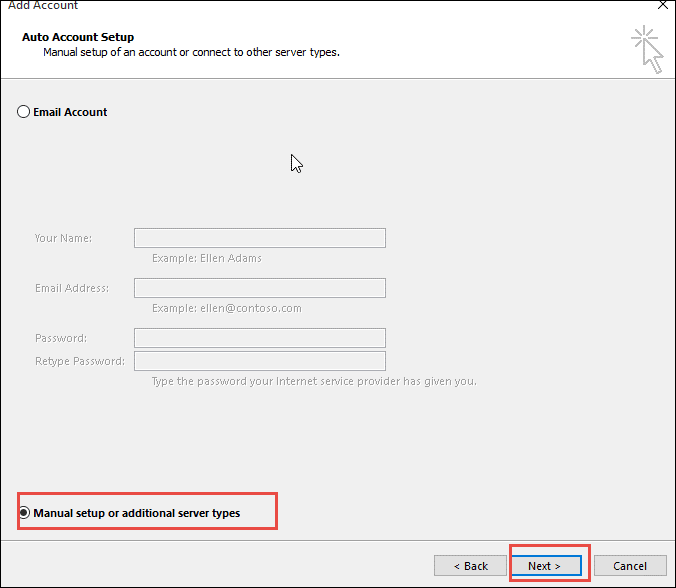 Open Microsoft Outlook >> File >>Info >> Add Account option >> Manually Configure Server Settings >> Next to proceed further. Step-3. 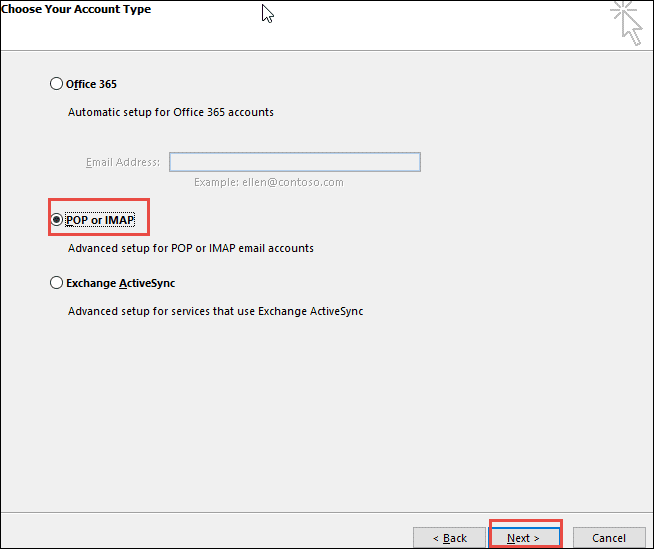 Go to Add New Account >> select POP3 or IMAP >>Next. Type necessary login details - Yahoo email and password. Step-4. Enter pop.mail.yahoo.com in the incoming mail server field and smtp.mail.yahoo.com in the outgoing mail server field. Step-5. 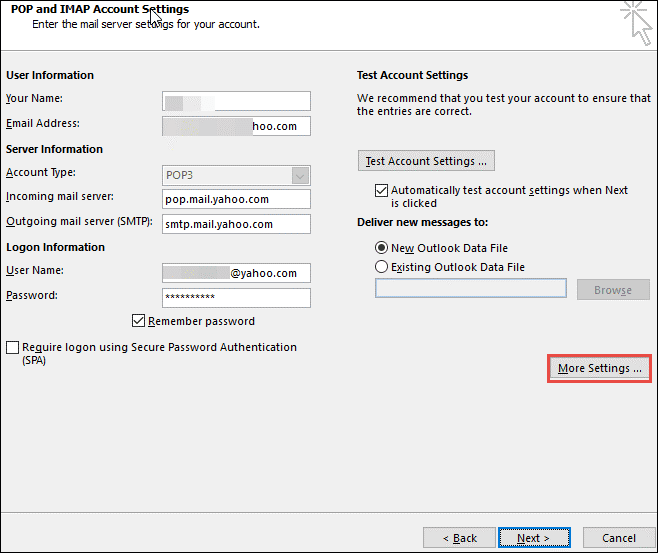 Select More Settings>> POP and IMAP Account Settings >> Assign an Account Name. Step-6. Select the Outgoing Server tab >> click on Use Same Settings as My Incoming Mail Server and My SMTP Requires Authentication. Step-8. Choose OK >> Next>>Finish>> Exit and Restart Outlook. Step-9. Click on Send/Receive option >> Select Send/Receive All Folders. Now all the Yahoo Mail folders will be imported in MS Outlook. Step-10. Visit the Default location for confirmation and check whether the exported Yahoo file is saved in .pst format or not. According to system requirements and compatibility, there are two methods to migrate Yahoo PST files to Office 365. Both these methods recommended by Microsoft. However, only technically good users. So, for normal Yahoo users, these methods are challenging. Migration of Yahoo to Office 365 account is a strenuous process and involves chances of errors. Also, it is time-consuming since it comprises of two steps - conversion of Yahoo data into PST format first and import of PST files into Office 365. The process takes too long and is extremely burdensome for the users who are void of any technical know-how. If you are planning to migrate emails from Yahoo Pro or Yahoo small business account to Office 365, then you might require third-party tools or utilities. So, users can try Kernel IMAP to Office 365. Also, this IMAP to Office 365 tool facilitates incremental mailbox migration and comes with smart filters that permit you to migrate selected mailbox data using filters like date range and item-type (emails, contacts, etc.). Facility to migrate to mailboxes, archive mailboxes & public folder. It ensures complete accuracy and security of data throughout the migration process. Supports both hosted, on-premises, and cloud Exchange deployments. As the manual procedure for Yahoo mail to Office 365 migration is time- consuming, it has been suggested to the users to try third-party tools for Yahoo to Office 365 migration.